At the London Wine Fair, Pol Roger brought their new 2008 vintage Blanc de Blancs, we were lucky enough to be one of the first to taste it! To start, what an incredible taste to an extremely youthful champagne with promising signs of a real champion of Blanc de Blancs in years to come. Pol Roger’s new 100% chardonnay has been described by James Simpson MW, Managing Director of Pol Roger UK as “much more ‘austere’ and ‘pure'” than the previous recognised special vintage of 2002. The 2008 vintage has a wonderful fresh fruit aroma and once tasted continues along the path of fruitiness which opens to give a lovely creamy character. It’s fruitiness flavour lingers on the palate beautifully. As it has only been released recently, and as a vintage champagne it is still showing rather young, however, it is definitely a wine that can be drunk now or as an investment for four to five years as the bottle ageing will considerably mature and make the wine richer. 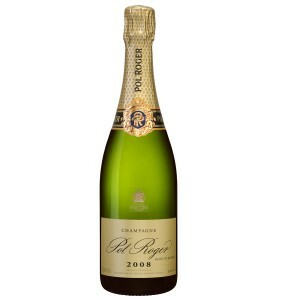 Buy Pol Roger Blanc de Blancs 2008 here.